“[B]oth Archbishop J. Peter Sartain, archbishop delegate overseeing the implementation of the CDF mandate, and the LCWR presidency affirmed the accuracy of the Cardinal’s remarks and commented on the positive conversation that followed. For LCWR, this conversation was constructive in its frankness and lack of ambiguity. It was not an easy discussion, but its openness and spirit of inquiry created a space for authentic dialogue and discernment. In our first visit on April 27 to the Pontifical Council for Social Communications, Monsignor Paul Tigue, Secretary, shared that Pope Francis insists upon creating, as part of the New Evangelization, a culture of encounter, marked by dialogue and discernment. We experienced this culture of encounter in every Vatican office we visited in the Curia, an encounter marked by genuine interaction and mutual respect. Yes, both “sides” do some really ill-advised things that make me scratch my head in bewilderment (e.g. the LCWR inviting Barbara Marx Hubbard to a conference or Cardinal Müller taking another unjustified swipe at Elizabeth Johnson, who is a first-rate Catholic scholar who has handled herself with class and dignity in the spirit of Teilhard de Chardin with the support of prominent Catholic priests and theologians). However, despite the portrayal in the media all parties seem to be respectful, open and engaged in finding a productive resolution. Hence, I have been silent on the issue. “Yet if few remember who Teilhard was, his views on faith and science continued to resonate, and today, remarkably, he’s actually enjoying something of a renaissance. Benedict’s successor, Pope Francis, has also invoked Teilhard-sounding concepts about the ongoing development of human consciousness, and Vatican observers say it would not be surprising if Teilhard made an appearance in an encyclical on the environment that Francis is currently writing. Teilhard “is definitely being quoted or invoked in ways we haven’t seen in decades, and really never before by the Roman magisterium,” said the Rev. Paul Crowley, a Jesuit at Santa Clara University who has studied Teilhard. Crowley said one reason for the reconsideration is that reality caught up with Teilhard’s ideas: The growing global ecological crisis is prompting demands for the kind of holistic scientific and moral response Teilhard would have endorsed, and the Internet is itself a digital “noosphere” of universal interconnectivity. So how is it that the American nuns are getting tripped up by Teilhard just as Teilhard is becoming cool again? The problem is, as Crowley put it, that for every serious Teilhard scholar “there are nine New Age types who invoke Teilhard’s name” — and often botch the pronunciation. Granted, Teilhard remains his own worst enemy. He was as much mystic as scientist, and his concepts could be so idiosyncratic and esoteric that they fed right into the ecology-and-spirituality movement that blossomed in the 1970s and beyond. Teilhard tends to be quoted by the left the way G.K. Chesterton is cited by the right — frequently and to great effect, but often torn from any meaningful context. To be sure, Teilhard’s disciples, including author and lecturer Barbara Marx Hubbard, whose invitation to address the American nuns in 2012 continues to irk some in Rome, helped keep his legacy alive. But at this point the Catholic Church may need to take Teilhard more seriously if it is to take him back from his fan base outside traditional religion. You can read the full article here but it is consistent with my contention that the Catholic Church needs to incorporate Teilhard de Chardin’s vision of combining traditional Catholic thought with the insights of modern science more than ever. Fortunately, we have scholars such as Fr. Brendan Purcell, John Haught, Sr. Ilia Delio, Sr. Kathleen Duffy, Louis Savary, Ursula King and David Grumett who are doing just that. Their voices need to be heard by a wider audience. 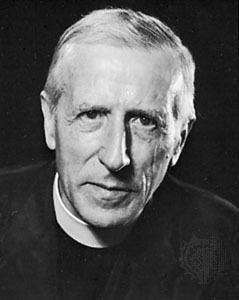 This entry was posted in Orthodoxy of Teilhard de Chardin and tagged America Magazine, Brendan Purcell, Cardinal Gerhard Müller, Cokie Roberts, Congregation for the Doctrine of Faith, Cosmic Christ, David Gibson, Elizabeth Johnson, Gerhard Müller, Ilia Delio, John Haught, Joseph Ratzinger, Kathleen Duffy, LCWR, Leadership Conference of Women Religious, Louis Savary, Noosphere, Omega Point, Peter Sartain, Pierre Teilhard de Chardin, Pope Benedict, Pope Benedict XVI, Pope Francis, Religion News Service, teilhard, teilhard de chardin, The Teilhard Project, Ursula King, Vatican, Washington Post. Bookmark the permalink. I like the referencing between Teilhard’s mysticism and that of his title also of scientist. It is in the very mysticism in which lies the bulk of what seems to be his questionable paradox—a paradox the world has a difficult time wrestling with and or defining. I had only known of Teilhards’ name before finding and following your blog William—not having been raised Catholic nor involved in the world of Science or Technology, he was but a blip on my radar. So instead of trying to put these wonders of individuals in neat packages of liberal or conservative, heretic or rebel—we may need to step back and examine more of their mystical relationship with a Mystical Creator. . .
just the two cents of an outsider on this issue William. . . I could not have said it better. I hope you have a wonderful weekend! Hm, I’m not sure I like this dichotomy between either ‘we have to take him seriously’ or ‘let others have him.’ Surely he’s a big enough figure for both to be true. I absolutely agree and I apologize if I implied otherwise. Moreover, as Julie indicated, it is unhelpful (if not dangerous) to try to categorize people or ideas. Indeed, one of Teilhard’s grand visions was the convergence of human thought, without losing the individuality of the person. We do need to step outside the box of tradition and ponder the revelation of God in the present time. I’m not saying that we should discard tradition but reflect on it in light of God’s continuing revelation to the world. Thanks for sharing this. Very astute comment about God’s continuing revelation. The Holy Spirit continues to be active, as the Gospel reading from this upcoming Sunday tells us :-). Hope you have a wonderful weekend! Yes, yes, yes! Teilhard’s work transformed my life and thought back in 1966, and has been crucial in my own work every since. A fine differentiation needs to be made between New Age interpretation of his vision and the Catholic theology out of which it arose and to which it brings new light and fire. Illia Delio does a stunning job of this, and I’m grateful to you for the additional references. Thank you so much for your comment. I am a big fan of Ilia Delio also. On my to do list for this blog is to provide summaries of her works. Hopefully I will get to it this summer. Have a great weekend! Phenomenology, the underpinnings of Teilard’s “Phenomenon of Man,” is the study of structures of consciousness as experienced from the first-person point of view. This discipline has attracted people from various persuasions, from Husserl who taught St Edith Stein, to Sartre, Nietszche, Camus and others who were admitted atheists in their lifetimes. Therefore the raised eyebrows in the Congregation. What ever the case, it is just going to take some time for the Congregation to sort out the wheat from the perceived chaff and biases, no way around that. I will keep praying. St Thomas Aquinas, pray for continued dialog and understanding! . Thank you for your insightful comments. I agree with you on Cardinal Müller’s analysis of the problems of conscious evolution. I am heartened by his candor and by the apparent constructive dialogue that followed. My comment primarily relates to a missed opportunity for Cardinal Müller to follow Pope Benedict’s lead in incorporating the full Christology of Teilhard’s evolutionary theism. This can help draw a stark contrast between the neo-gnosticism of Barbara Marx Hubbard, etc. al. and the Christian optimisim of the Incarnation. Perhaps asking for a modern-day St. Irenaeus. I will be with you in praying to St. Thomas Aquinas for continued dialogue and understanding!